See. 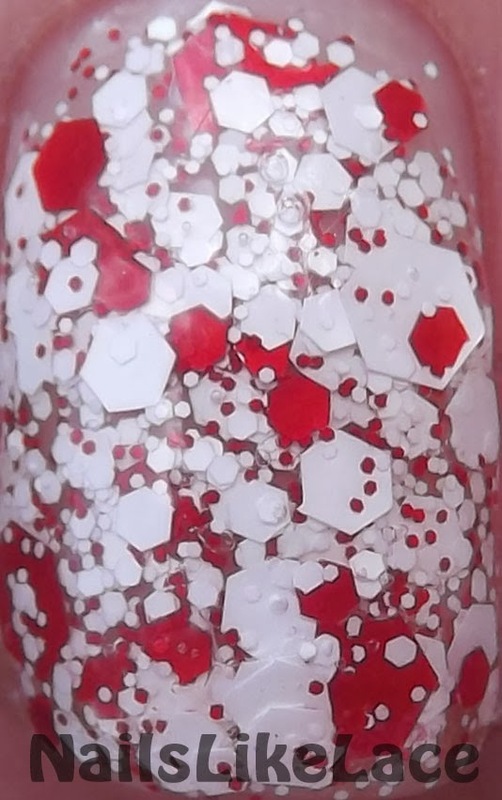 Told ya I love me some KBShimmer! I've got another one to show you! Today I have Candy Cane Crush, the scented version. And oh does it smell wonderful! I love scented polishes anyway. This one has a really yummy, almost sweet peppermint scent. Mmmmmm! I built it up on my middle two nails in three thick, dabbed coats; then I used Color Club Rebel Debutante on my index nail and pinky and tried to somewhat dot CCC at the base of those nails. It was a tad difficult and ended up being more of a glitter-placement-into-a-circle-ish-shape ordeal. Overall, I quite liked how this mani looked. Simple but cute! And I always enjoy looking like a finger-sniffing freak in public!